This is a gorgeous natural raw gold nugget from Australia. It is 1.1" (27 mm) long and it weighs in at 6.3 Grams (97.2 Grains). 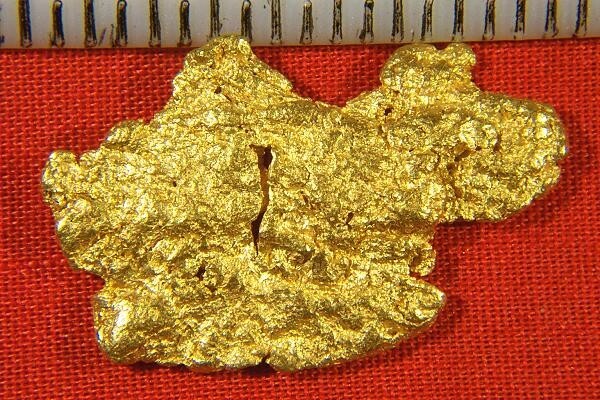 It is a flat, thin, jewelry/investment grade nugget, the highest grade you can buy. It has a very unique natural shape, I can see a brontosaurus rex on one side and a hippopotamus on the other side. To find natural gold nuggets in distinct shapes like this is extremely rare and it has taken me a lot of years to assemble this collection. Over quite a few years I have searched through many gold prospectors stashes and gold nugget sellers inventory to find my large collection of special shaped gold nuggets. 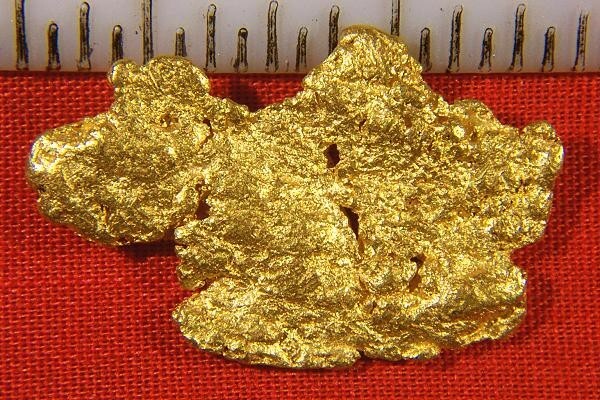 I am quite certain that we have the largest collection of special shaped natural gold nuggets for sale anywhere. This gorgeous natural raw gold nugget specimen comes with a certificate of authenticity.